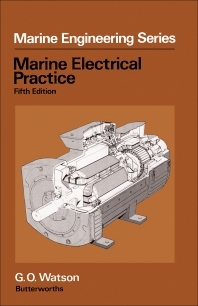 Marine Electrical Practice: 5th Edition discusses the subject of marine electrical practice and takes into consideration the revolutionary changes in the field over the past 20 years. The book covers components such as generators, switchgears, rotary amplifiers, and voltage regulators; the insulation and temperature control of different machines; the distribution of electrical power; electromagnetic compatibility; and lighting. The book also contains helpful reference materials such as graphical symbols related to ship diagrams, organizations concerned with ships and shipbuilding, and units of measurement. The text is useful for nautical engineers and electrical engineers involved in offshore work, as it serves as both a guide and an update in the field of marine electrical practice.